This recipe was yet another I snagged from Pinterest. And no wonder, right? They turned out beautifully and that honey/butter mixture brushed on right before baking absolutely pushes these over the top of mere dinner rolls. 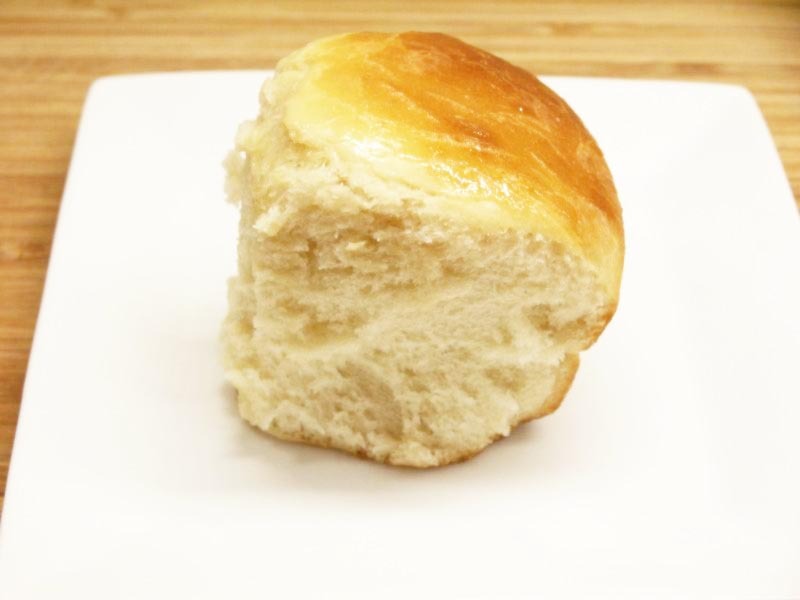 Whether you're a roll maker or not, these were easy to make, the aroma in your home is divine and your family will love hot rolls for dinner. In a large mixing bowl, sprinkle the yeast over the warm water and let sit for 5 minutes. Add the honey, salt and egg. Stir until blended. Add 3 cups of flour and mix until the dough comes together. If using a standing mixer, knead the dough with the dough attachment for 5-7 minutes, or until elastic. If not, knead the dough on a lightly floured surface until soft and elastic (about 8 minutes), adding more flour to keep the dough from sticking if necessary. Is there anything more boring than a post (and a photo) about chicken broth? But you never know when flu or a cold will attack .....or just a rainy, gloomy day.....and nothing is more comforting than chicken soup. My mother taught me to make chicken broth with chicken feet. They give me the creeps, but they produce an amazing broth, lovely in color, rich in nutrients not found in broth made just from a chicken and it gels just as a good broth should. 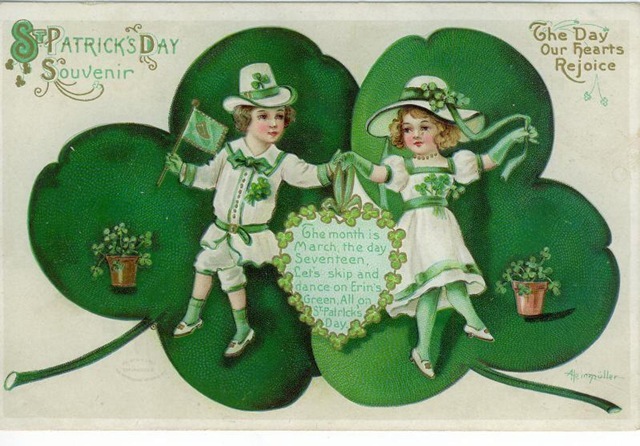 When she'd serve it, she'd either swish in a beaten egg or make dumplings with an egg and some flour. Hence, my interest in this recipe from Gabrielle's Prune cookbook. I always have chicken broth at the ready in my freezer. You should too. I'm not going post the recipe for my broth because I already blogged about it HERE. So. I made a couple changes in Gabrielle's recipe. As I already mentioned, I used the homemade chicken broth I had in the freezer rather than capon broth AND, no matter what Gabrielle says, it's nearly impossible to get these dumplings to hold together without a bit of flour, so I added just a tad, enough to keep them together. You can try a couple without and see if you have better luck. I tried four or five and while they did result in dumplings of a sort, they practically disintegrated while cooking, even at a very slow simmer. My eggs were extra large, so perhaps that was too much moisture; next time I'll use smaller eggs and see if it works better. Or perhaps it was my bread crumbs. Not enough? What I liked was the addition of Parmesan in these dumplings and that touch of nutmeg. Just those flavor additions made them way different than my mother's. The dumplings were lovely and light, no doubt because of the tiny amount of flour. With no flour, they'd practically melt in your mouth. (Well, mine did melt in the saucepan!) I added a couple pieces of chicken to my broth, whereas Gabrielle served some on the side. It was all I could do NOT to add a bit of parsley or something for color in the photo, but decided to hang in there with simplicity, because that's what this soup is all about. Combine bread crumbs, Parmesan and nutmeg. Make a well in the center and pour the beaten eggs in. Knead everything together. Bring broth to a boil. Drop in dumplings and simmer for a few minutes until dumpling almost double their size. Don't boil too hard or they will split. Retrieve dumplings with slotted spoon and place them in a shallow bowl. Pour in broth about 2/3 the way up. 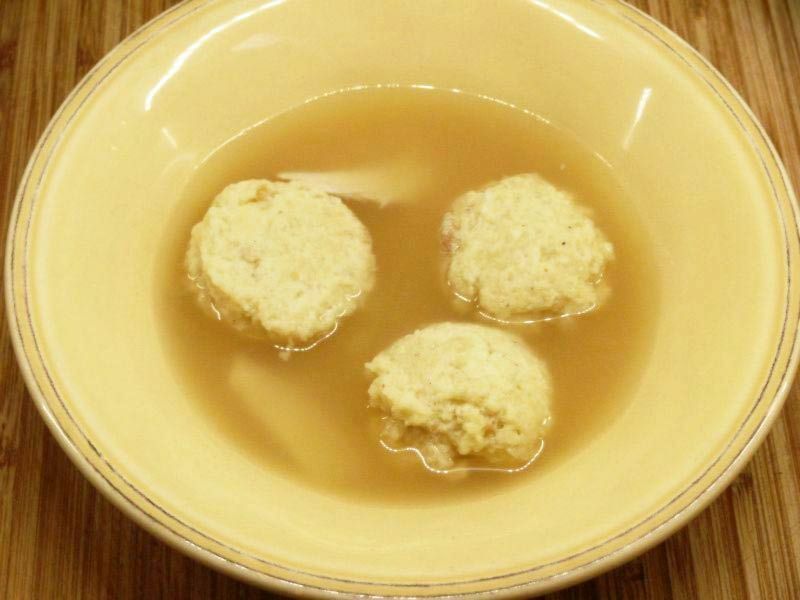 You can heat up a slice of chicken in some leftover broth and serve it on the side.This recipe makes about 12 smallish dumplings. 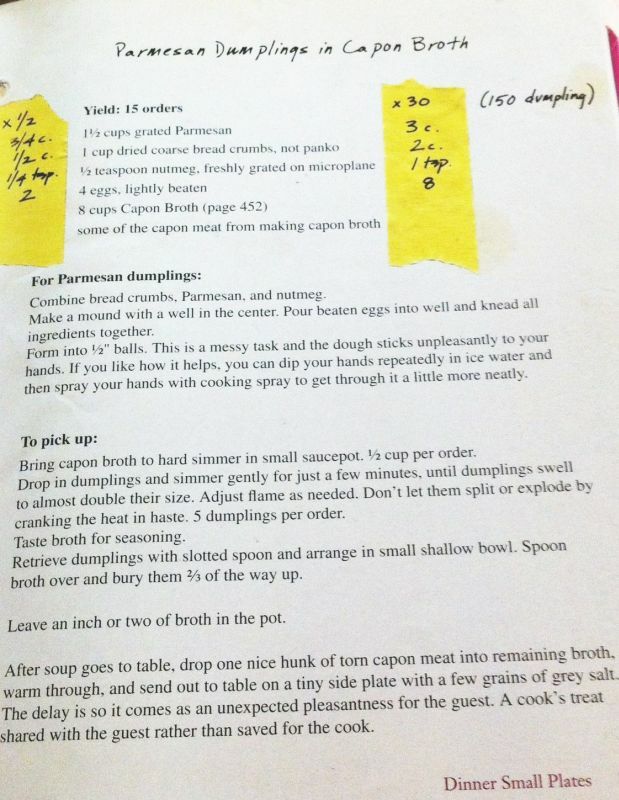 Here's the recipe straight from the cookbook. While cleaning out my pantry the other day, I discovered a nearly full container of dried currants. Can't remember what I used them for, but what I did remember was reading Luisa's blog (The Wednesday Chef) a while back, I saw an interesting recipe for, believe it or not, pickled dried currants. 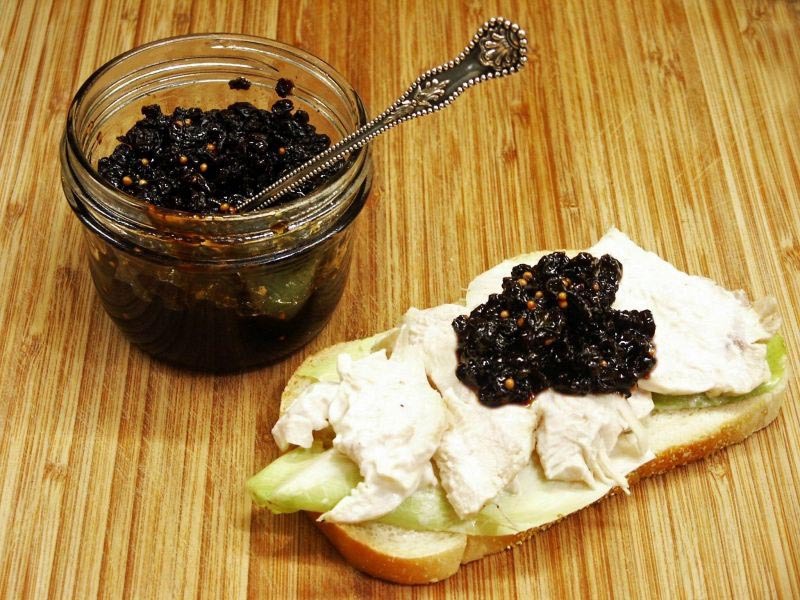 Luisa used this unusual relish atop a simple chicken salad sandwich and I must say, it looked like a great idea. I made relish immediately, tried it on a sandwich myself and loved the tangy addition. Would've been even better on a dark, grainy bread; alas, I had none in the house. One of my favorite comfort food sammies is an open faced broiled cheese made with a fine cheddar. I always used my great aunt Irene's homemade chili sauce on it (She'd get a group of women together every summer and they'd toil in a hot kitchen all day, making a HUGE batch of it....drool...she's not with us anymore and I have her recipe, but it looks like such a gargantuan task I haven't attempted it. ), but a dab of dried currant relish on top of that melted cheese sammie will do me just fine. In a large saucepan, combine all the ingredients and bring to a boil over medium-high heat. Lower the heat and simmer gently, stirring, for 30 minutes, until the pickle is thickened and reduced. Let cool completely before storing in an airtight container in the fridge for up to a year. Makes 2 cups. This was basically a lunch of leftovers. I had some ricotta I wanted to use up and half a package of fresh mint. Donna Hay magazine included this recipe in issue #77 and I thought I'd see how it turned out. We all have frozen peas in our freezers so I was all set. The Pea and Mint dip turned out a tad firmer than I'd like, but only because I didn't have enough sour cream and no yogurt or milk in the fridge so I made do. More of a spread, it worked fine, but I'd hardly call it a dip. You can adjust the texture when you process it and hopefully, you won't have run out of sour cream like I did. The fritters were easy enough, but don't flip them too soon as they'll fall apart. Treat them like pancakes and look for those bubbles to show through, at least around the sides. Pretty tasty lunch for one or two and a great recipe to use up some odds and ends in the fridge. To make the pea dip: combine ingredients and process in a food processor, or use a hand held blender. Beat the egg whites until stiff peaks form and fold into the ricotta mixture. Brush a pan with olive oil and cook two tablespoon portions of the ricotta mixture for 3 minutes or so on each side or until golden brown. 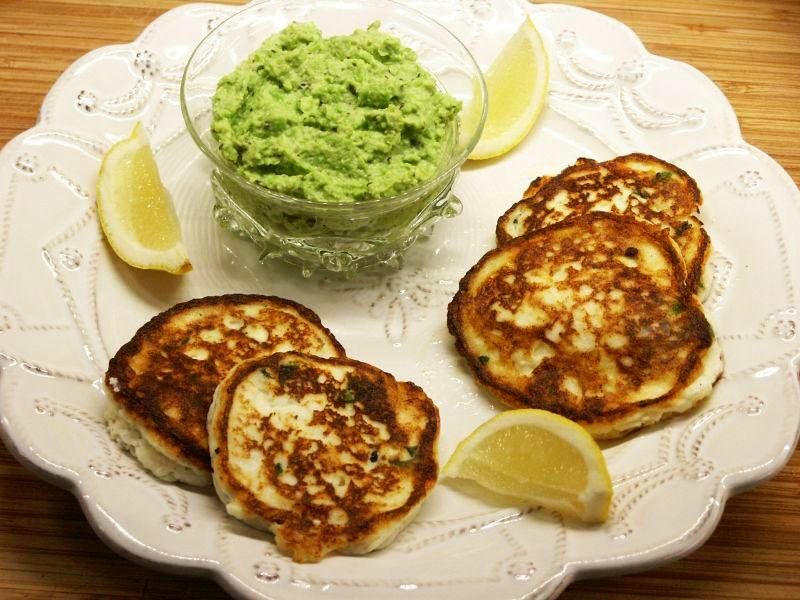 Serve with the pea dip. 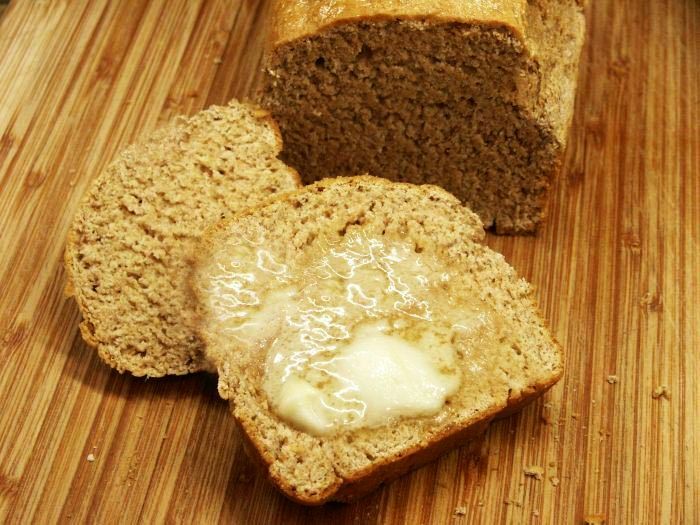 This is without a doubt the simplest brown bread recipe I've ever seen. It's dense and hearty, no yeast, so no rising and when you serve it right out of the oven slathered with Kerrygold butter...what could be better? Preheat the oven to 375°. Butter an 8-by-5-inch metal loaf pan. In a large bowl, whisk both flours with the baking soda and salt. In a small bowl, whisk the buttermilk with the egg; stir into the dry ingredients with a wooden spoon until a rough dough forms. Transfer the dough to a lightly floured work surface and knead until smooth. 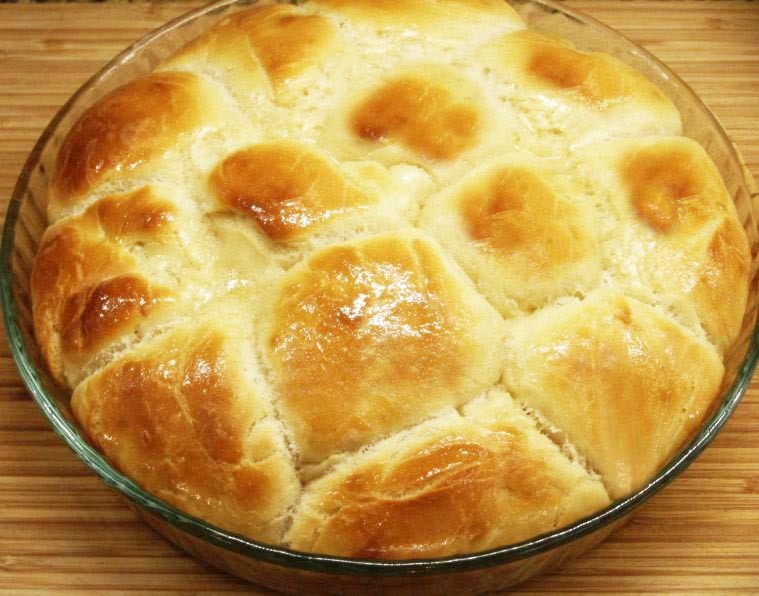 Form the dough into a loaf and put it in the prepared pan. Bake for about 50 minutes, until the bread has risen about 1/2 inch above the rim of the pan. Once unmolded, the loaf should sound hollow when tapped on the bottom. Let cool to warm or room temperature, then slice and serve. I love it right out of the oven or toasted. 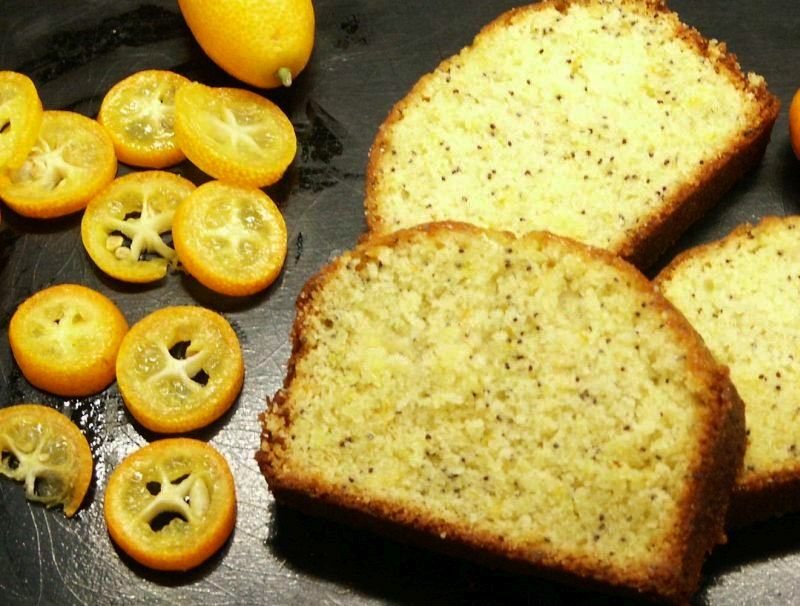 I do love poppy seed sweet breads...and this particular version uses kumquats (along with lemons and a tangerine). The season for kumquats is nearly over, but I found several packages in my market. If you can't find them and think the idea of making this with kumquats is unique and fun, save the recipe for next winter. The crumb of this loaf is tender and light and the kumquat glaze adds a little tartness to every mouthful. Butter a 9 by 5 loaf pan and sprinkle it with dry bread crumbs. Knock out extra crumbs. In a stand mixer, beat the butter, sugar, salt and zests for 2 minutes, scraping the sides. Add the eggs and yolks one at a time, beating in between. Add the flours , baking powder, poppy seeds, buttermilk and vanilla and beat cautiously to mix. Do not overmix. Pour into baking pan and bake for 60 minutes or until top springs back when touched. Do not overbake. In the meantime, in a blender or processor, puree the lemon juice and kumquats with 3 tablespoons sugar. Scrape the puree into a saucepan and boil for 2 minutes. Strain and set aside. Remove the cake from the oven and while still warm, brush with the puree...the tops and sides. I made two small loaves and froze one. Not only is this dish a crowd pleaser, but it'super easy to make for a crowd as well. 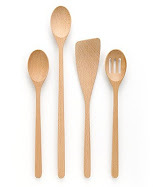 On the other hand, you can reduce the recipe easily for a small family. If you haven't tried it, keep in mind it has to marinate overnight, but after that, there's absolutely no work to be done except bake it and serve it. It's best over rice, any kind you prefer. Mashed potatoes just doesn't cut it with this dish. You just can't beat Ina Garten recipes...they're all winners! 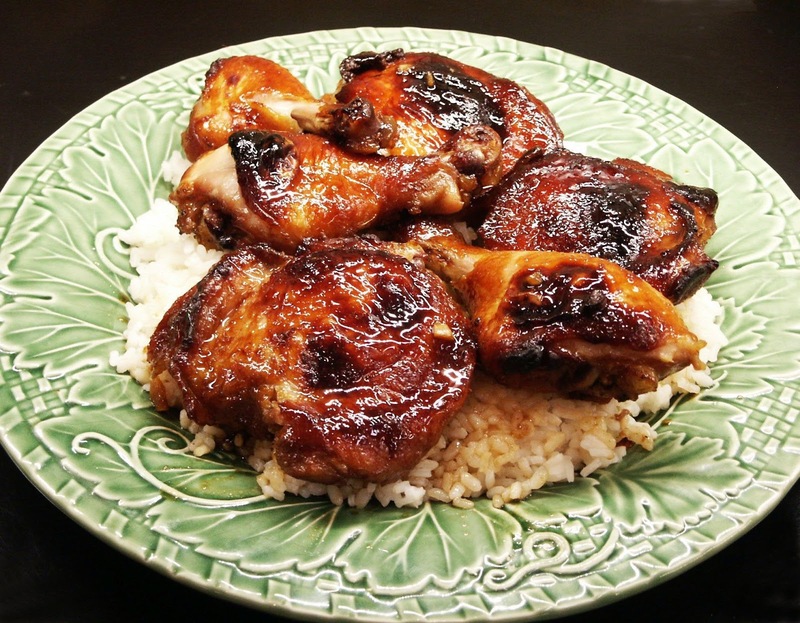 Cook the honey, soy sauce, garlic, and ginger root in a small saucepan over low heat until the honey is melted. Arrange the chicken in 1 layer in a shallow baking pan, skin side down, and pour on the sauce. Cover the pan tightly with aluminum foil. Marinate overnight in the refrigerator. Not often do I make pancakes, but these are an exception and I make them for supper. I've always loved breakfast for supper, haven't you? 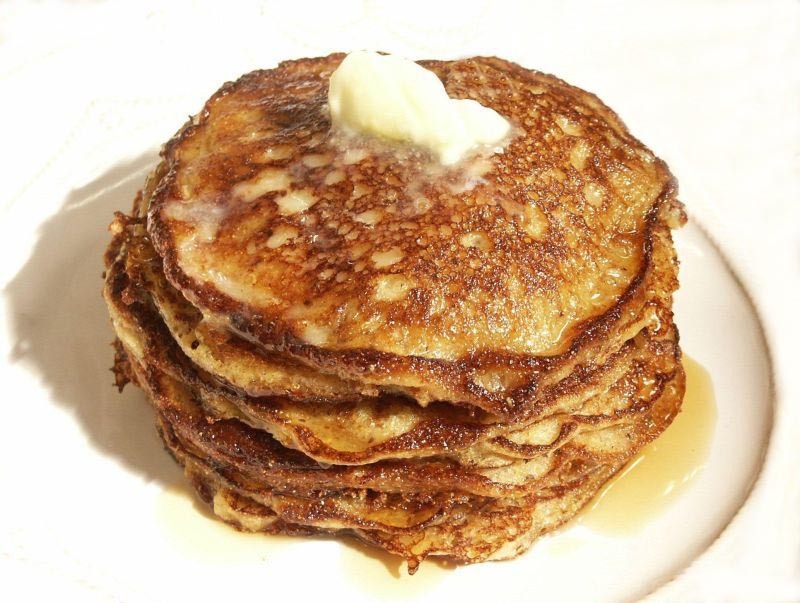 These pancakes are usually on my supper agenda when I have leftover brown rice. You could use all brown rice if you don't have any quinoa, but it's better mixed. Conversely, don't use all quinoa either as the flavor will be a bit overpowering. An interesting idea: Zoe suggested serving it as one big pancake, pouring it into a buttered cast iron skillet and baking it at 450 for about 15 minutes. Then the whole family can dive right in with butter and maple syrup. Place the first 9 ingredients in a large bowl. Add the buttermilk, butter and eggs and whisk to combine. Add the brown rice and quinoa. Preheat a greased griddle or greased skillet. When some droplets of water sizzle, turn heat down to medium and use 1/3 cup of the batter for each pancake. When the bubbles set on the surface of the pancake and the bottom is golden, flip and cook on the other side for about a minute. Serve immediately. Makes about 15 pancakes. 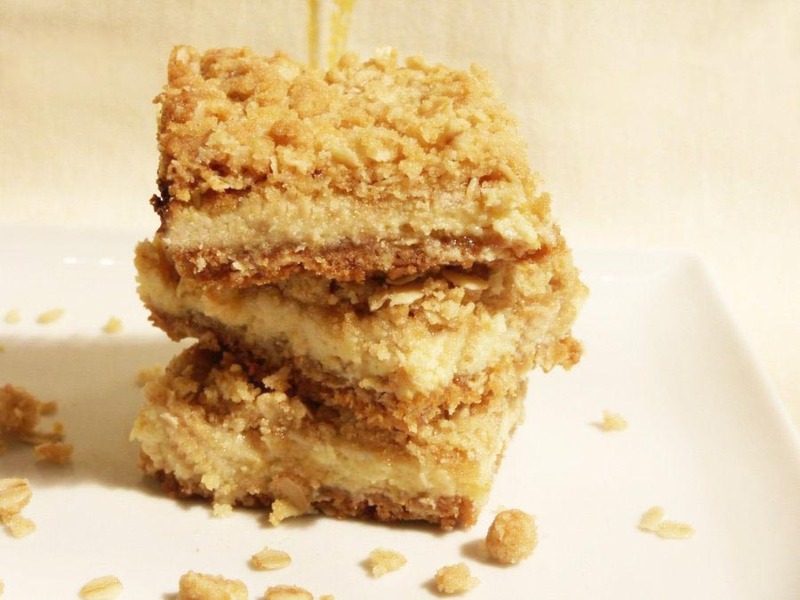 Of course, anything with lemon and condensed milk layered in between two crumbles has simply got to be roll your eyes delicious. Preheat oven to 350 degrees. Whisk together flour, rolled oats, salt and baking soda. Stir in granulated sugar and brown sugar and mix until no clumps of sugar remain. Stir vanilla into melted butter and pour mixture over dry ingredients. Using a spoon, stir mixture until evenly moistened. Sprinkle half of the crumb mixture into the bottom of a greased 8 by 8-inch baking dish and gently press into an even layer. Bake in preheated oven 15 minutes. Remove from oven and set aside (leaving oven heated at 350 degrees). In a mixing bowl, whisk together sweetened condensed milk, lemon zest, lemon juice, egg yolks and lemon extract until well blended. Pour mixture over crumb crust in baking dish and spread into an even layer. Sprinkle top evenly with remaining crumb mixture. Bake in preheated oven 23 - 26 minutes until lightly golden. Remove from oven and allow to cool to room temperature, refrigerate an hour, then remove and cut into squares.